Micromax Unite 2 A106 is the flagship of Micromax and is a good competitor of Motorola Moto E about which we posted in the last post. Unite 2 has amazing specifications and the price in which it is released, is just unbelievable. 7 thousands for this phone is just an awesome deal. It's processor, GPU, camera and screen resolution are also very decent. You are getting a Quad-Core processor, an IPS touch screen display, 1 GB RAM at just 7k which is the best phone at this range. Motorola Moto E has nothing new and I don't know why people are going mad for it. Basically it is the successor of Moto E and that's the reason why people are mad for Moto E, but I bought Micromax Unite 2 A106 which has better specifications than Moto E.
SRS Root Tool: Click here to get it from here. USB Drivers: Click here to download Moborobo which will automatically install drivers in your PC to root your Unite 2. Download and install Moborobo in your PC. Connect your phone to the computer by USB. Go to Settings>About Phone and tap 7 times on Build number to enable Developer options. Press back button and select Developer options and enable USB Debugging in it. Open Moborobo and it will install the drivers. Click Yes in your phone if any popup comes. Now install SRS Root tool in your PC. Open it and make sure internet works. 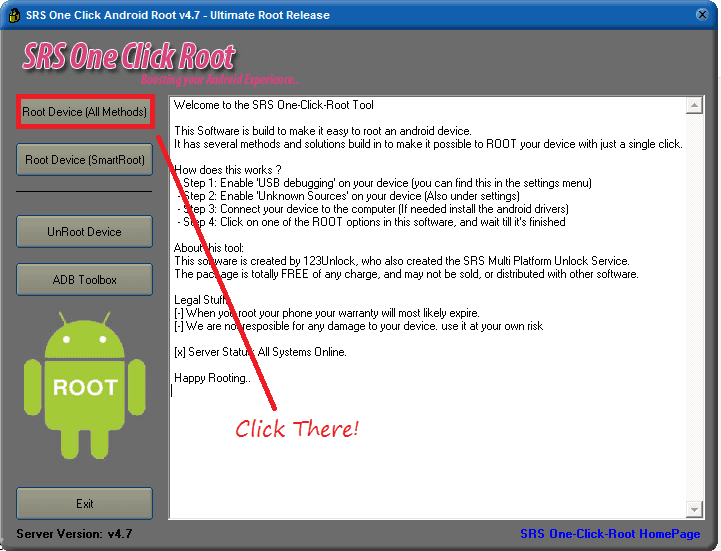 Click on Root Devices (All Methods) to root your phone. Your Unite 2 may reboot several times. Click on Boromir if it appears on your screen or anything like Gandalf etc in the app which will launch in your phone with the name of Framaroot. Enjoy your phone. Doubts? Ask here! have tried does not work....!!!!! !